Configure, test, and monitor CANbus/SIIS Level 2 networks and devices. Automate your device or system tests using test scripts. Whether you are a control system vendor, system developer or service personnel, ClampOn CAN Monitor, combined with a CAN interface from National Instruments, provides you with a powerful generic test and monitoring solution for your CAN/SIIS Level 2 instruments of any make (not just from ClampOn). 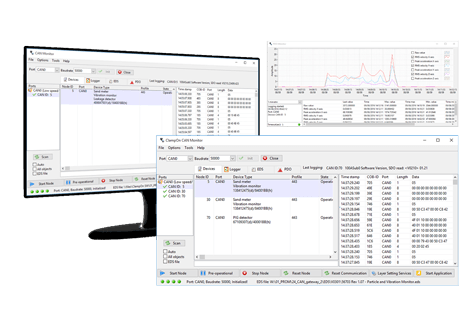 The software lets you configure your network and devices using NMT and LSS, and access the object dictionary using Electronic Data Sheet (EDS) files. You can read and write PDOs and SDOs, either manually, continuously (with trending), or as part of a test script. 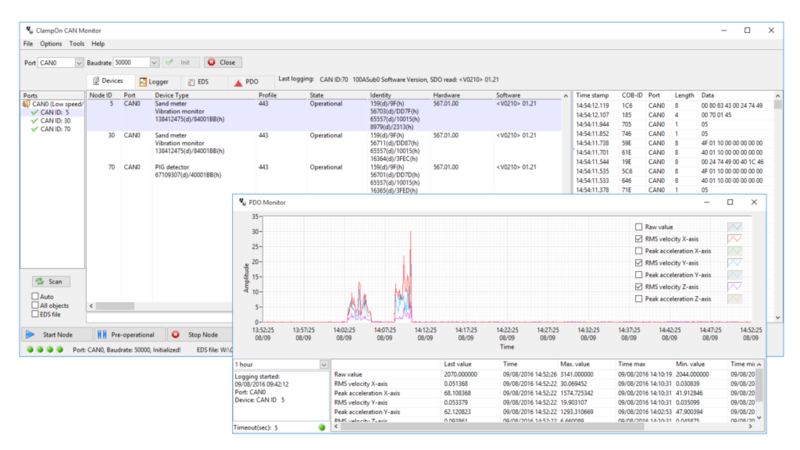 We developed this tool to replace and improve upon other dominating tools on the market, like Ixxat Device Manager and Vector CANalayzer. With added support for features from SIIS Level 2 / CiA-443, CAN Monitor is a catch if you work with subsea instrumentation. If you already have a CAN interface from NI, or would like to buy one – you can download a trial of the software and get started immediately. Discover all the benefits, and you can easily buy and register later from the online web store.